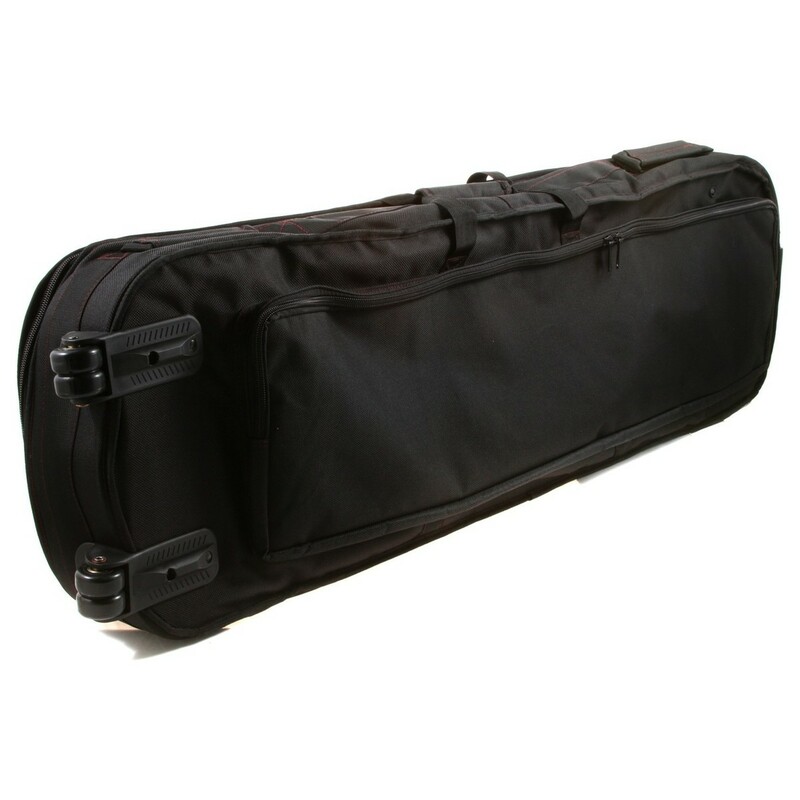 The Korg CB-SV-73 Carry Case for SV1 73 is a durable, lightweight carrying bag designed to accommodate the Korg SV-1. The bottom of the carry case features built-in wheels and a sturdy, metal handle for ease of transportation. There is additional space in the front for hardware and accessories such as music stands and cables. There is also a second fabric handle located on the side of the case, allowing you to carry the case horizontally for added convenience. 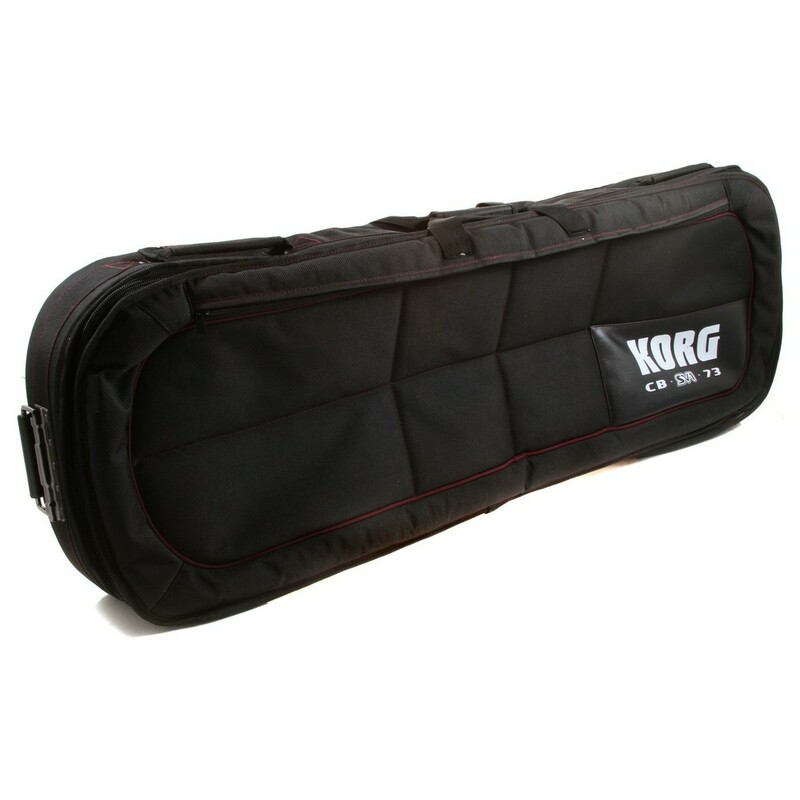 The Korg CB-SV-73 Carry Case for SV1 73 Key is designed to protect your Korg SV-1 from superficial damage while in transit. The Nylon exterior is highly durable, protecting against scratches and bumps while on the move. The case also features two exterior pockets for storing accessories such as music stands and cables. The interior of the case features a removable velour lining, keeping your SV-1 free from scratches and particulates. The built-in wheels and metal top handle allow for easy transportation, plus the nylon side handles are included to allow you to transport your keyboard horizontally for added convenience.